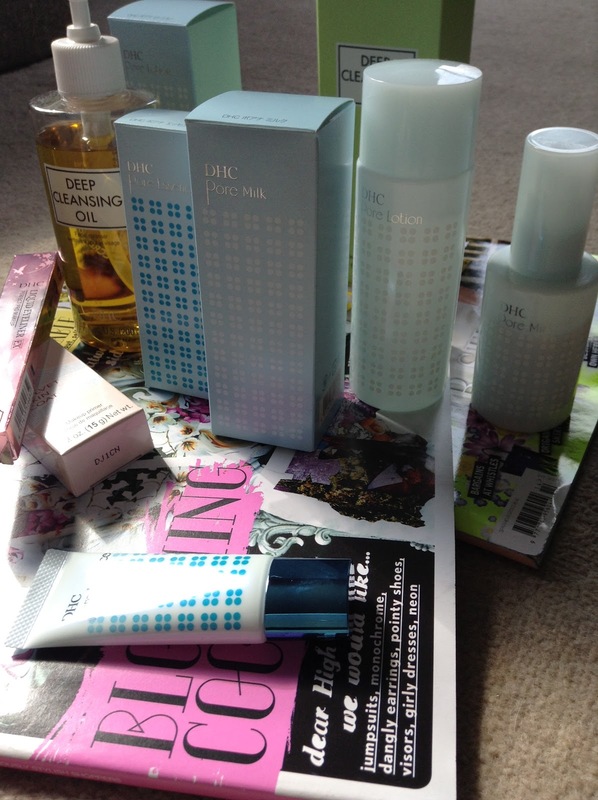 A few weeks ago I went along to the launch of DHC in the UK. I was drawn in by the fact it is Japan's number one skincare brand but I really wasn't sure about the base of Olive oil in most products. I get the odd blemish, especially in the cold winter months, and the thought of rubbing oil into it worried me slightly. 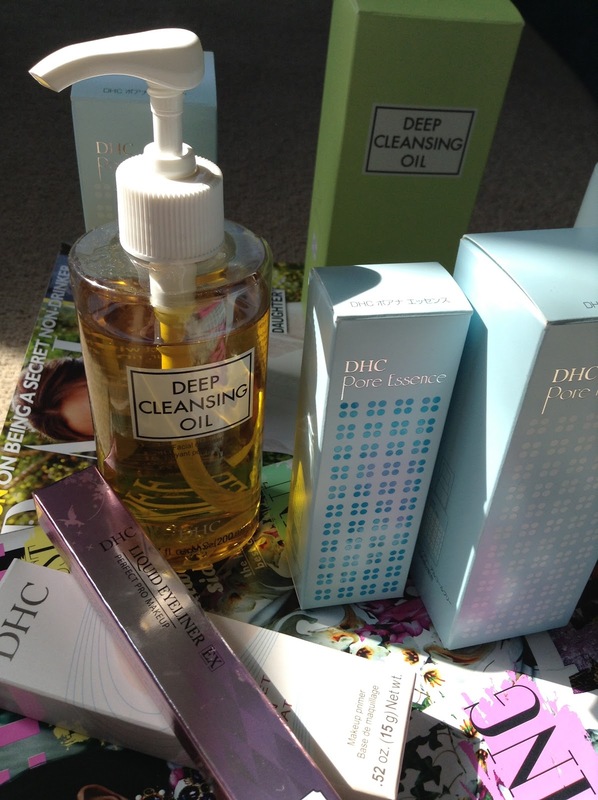 DHC has been creating skincare and beauty products in Japan for over 30 years, using natural ingredients. The brand are great at sampling, and when you purchase any product you can select four samples to try - they know how great their products are. The packaging is simple, and a little mismatching, but I do think this gives it a rather charming, straight from the science labs feel. I decided to give the entire range a go and hope for the best. The star product, the deep cleansing oil feels just like a light olive oil. The idea is that oil attracts unwanted oils, and removes them from your skin. You use it like a face wash, coat it onto dry skin, then rinse it off. It removes all make up, including stubborn mascara easily, and foams slightly once it gets wet. It leaves skin super soft, blemish free, and after three weeks of using it morning and night I am completely smitten. 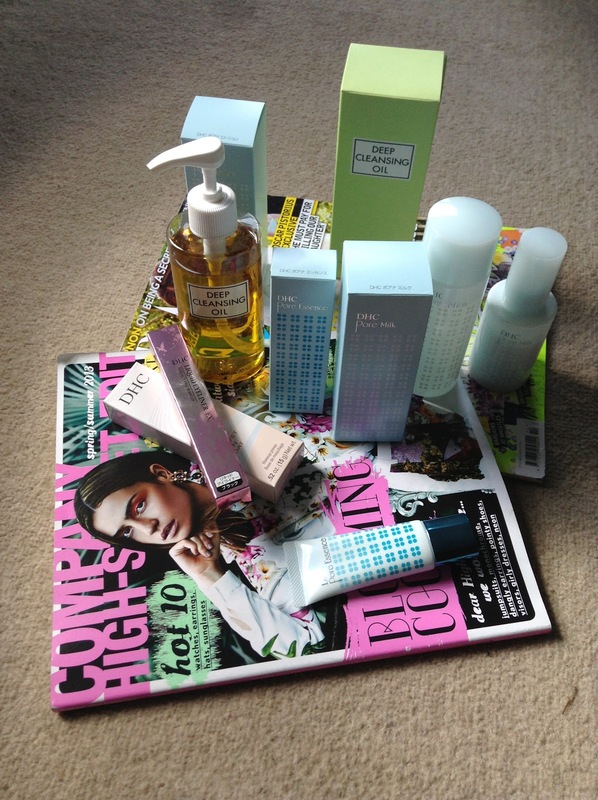 The other products are all just as fabulous. The Pore lotion is a super gentle toner that contains brown algae which supports collagen and minimises pores. It has a very light grapefruit scent and feels far more luxury that its price tag. Other star products that are now being used everyday are the Pore Milk (a gentle light grapefruit moisturiser ), the Velvet skin coat (the perfect primer for when applying make up - its called velvet for a reason) and the Perfect pro double protection mascara. A special mention has to go to the Liquid Eyeliner. This is the ONLY eyeliner that I have ever found that will not smudge. My eyes are shaped so that when open my eyelids touch the top of the eye and eventually smudge any eyeliner, except this one! (Clinque's has been my essential for several years, and is a good second to this DHC one.) It has a super fine line and so is perfect for a simple eye, or to build up for a more dramatic look.